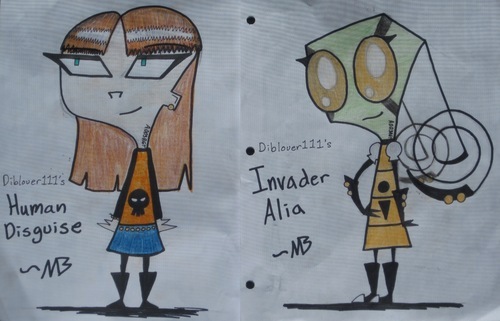 Invader Alia contest!. heres invader alia for Diblover111 contest. HD Wallpaper and background images in the Invader Zim FanCharacters club tagged: invader. i TOTALY messed up on the hair! You did not!! It rocks!! I literally gasped when I saw it!! I'm just sayin, this looks like it came right from the show! That has been my goal for ages. YOU MUST JOIN MY CONTEST!! thank you! ^_^ that means a lot! Judge's Notes: I liked that you added your own little flair to it. You also used great accuracy, which added to your score. The picture was really great, too! YAAAAAAAAAY THX!!!! wait so do i win or no? The results are gonna be in a forum. Watch for it.